SKU: N/A. Categories: Garden Care, Gardening Books. Please allow 2 – 3 Weeks for Delivery or purchase a downloadable copy for your e-reader for instant access to a wealth of information. Downloadable formats are for Kindle or other e-readers, such as Kobo eReader, Blackberry Playbook, iPhone, iPod Touch, iPad, Barnes and Noble Nook, Sony Reader, BeBook, Bookeen Cybook Gen3 (with firmware v. 2 and up), COOL-ER, Adobe Digital Editions, Lexcycle Stanza, BookGlutton, AZARDI, FBReader, Aldiko, Mantano Reader, Moon+ Reader on Android, the Mozilla Firefox add-on EPUBReader, Okular, dotReader, Mobipocket, and uBook. I was lent this book by a neighbor, and as soon as I started reading, I knew I had to order a copy to have myself. This is a guy who does short informative skits on our am news on sat, and this book allows me to not worry about missing them when they are on. He stuffed all of his vast knowlege into this book, and I’m truly grateful. If you live in the southwest, I recommend getting this if you want to garden. 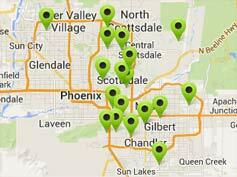 Very helpful gardening info for the Sonoran gardener! I love the info on companion planting and what to rotate out seasonally so your soil isn’t stripped. (Although the marigolds don’t seem to be doing much pest control, had to invest in some insecticidal spray). 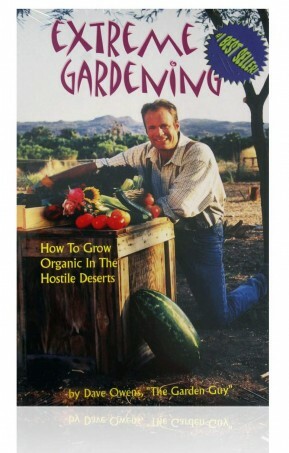 Since getting into this book, I will never garden the same way again. This year, I tried to do square-foot gardening, but it was nearly a disaster. Next year, I’ll be following the directions in this book. There’s a lot I did right this year, but when it came to planting things too close together, I did that in spades. Never again. His insect/pest identification section is really decent, and his recommendation to use BT (bacillus thuringiensis) to kill worms and caterpillars save our tomatoes, tomatillos and peppers. I have some beautiful cabbage coming up that will never know what it feels like to have a cabbage worm ream out its insides. Dave Owens really knows his stuff, especially for desert and high-desert gardening. I’ll be doing a lot of things differently next year, and I know I’ll get a better harvest for the effort. This book is very helpful to the beginning gardener as well as a reference guild to the seasoned gardener. I teach square foot growing near Palm Springs and this is the best guide I have found. Gardening made simple. Gardening at its best! Well, there’s no question that David knows his stuff. Though I don’t live in the desert, I do live on the high plains where water is in short supply. His book is insightful and well written.